QR codes are automatically generated for all urls. They can then be downloaded and used in print or web material and will revert to your short url when scanned. Most modern smart phones have the ability to scan QR codes, either built in or via a downloadable applications. The script resizes perfectly for mobile, tablet and desktop devices. The included theme also comes with 12 different colour variations. Shorten multiple long urls at the same time. Just copy and paste each url on it's own line to generate multiple short urls. Link banner ads or Google Adsense into the site. Easily add them using the tools provided within the admin area. 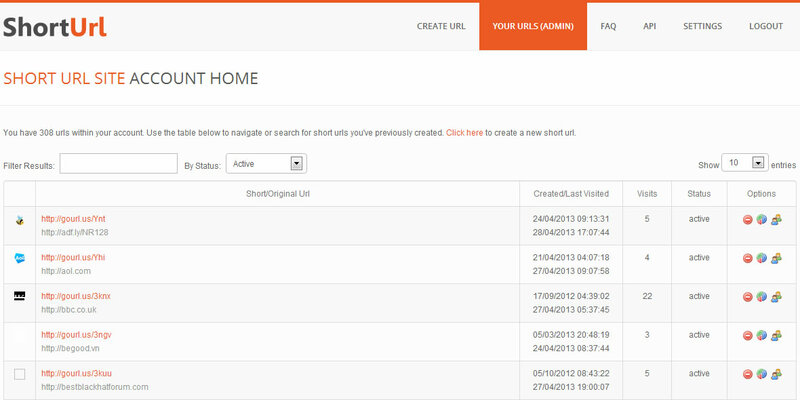 Set a custom short url, password, expiry date, maximum uses and whether it's private or public. Public urls are shown on 'recent urls'. An advanced API which provides access to create, disable, activate and list urls for registered users. Responses in json or xml. 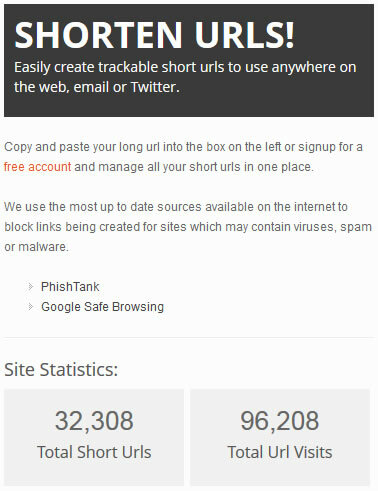 Every long url submitted is checked on both Google Safe Browsing and Phishtank for malware and phishing protection. 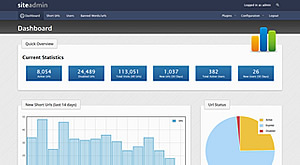 Users can register with the site for an account in order to manage their urls. 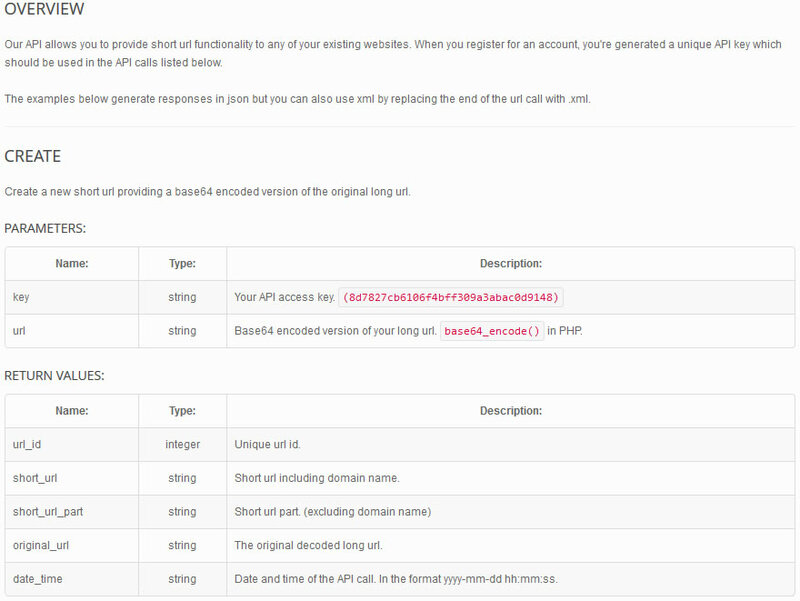 Registration also provides access to the API. 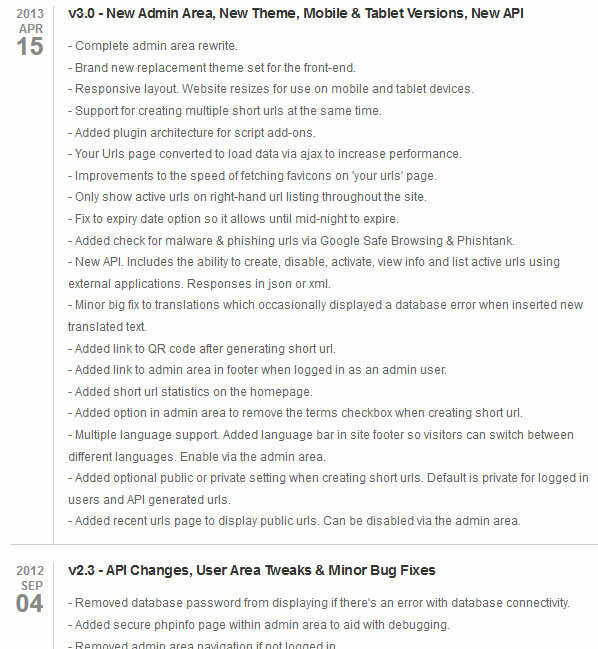 A feature rich admin area to manage urls, users, translations, site settings and more. Have full control over your website. 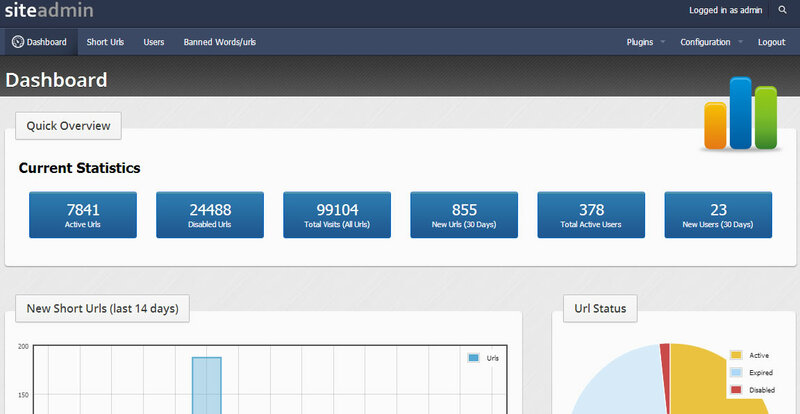 Detailed web stats for each short url. 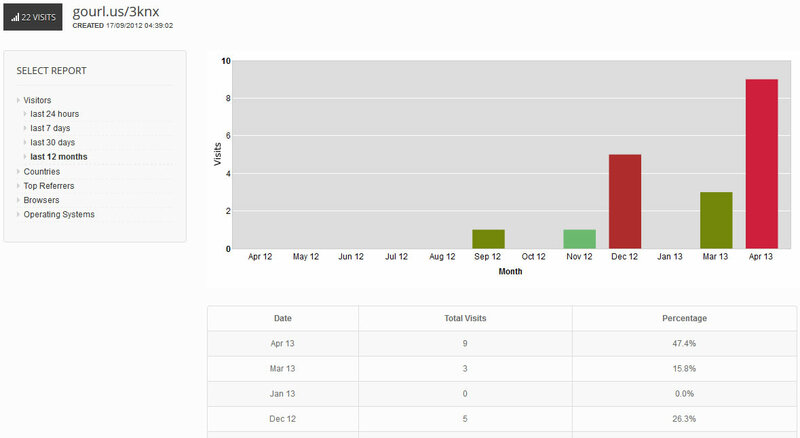 View referrals, unique visitors, web browsers, countries & user operating systems. 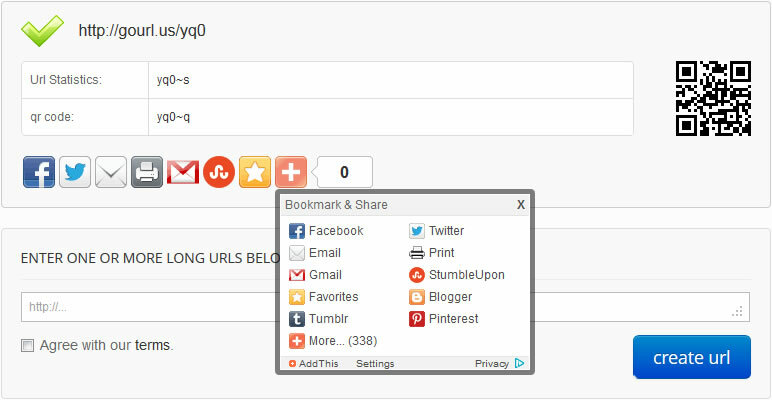 Share urls with social networks like Twitter, Facebook & Google+. Directly send via email aswell. For each url a QR code is generated which can be used to advertise the short url. QR codes can be downloaded and used in print. 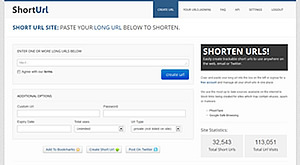 Extend your url shortener site using downloadable plugins. Add a newsletter plugin to email your users or a rewards scheme based on url clicks. Translate the url shortener site into any ltr language that supports UTF-8 characters. Optional language chooser included with the script. All the PHP source code supplied. 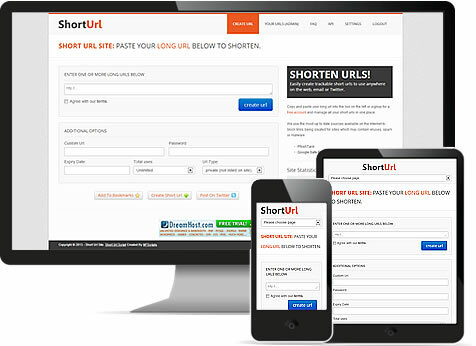 Make any changes to the url shortener script as you need to without having to work around encoded parts. Blacklist by IP address. Phishtank and Google Sage Browsing url checking. Externally tested for XXS and SQL injection attacks. Built with large traffic sites in mind. Small compressed js files, consistent use of ajax, limited connectivity to the database. Unlike other short url scripts, our release schedule is extremely proactive. 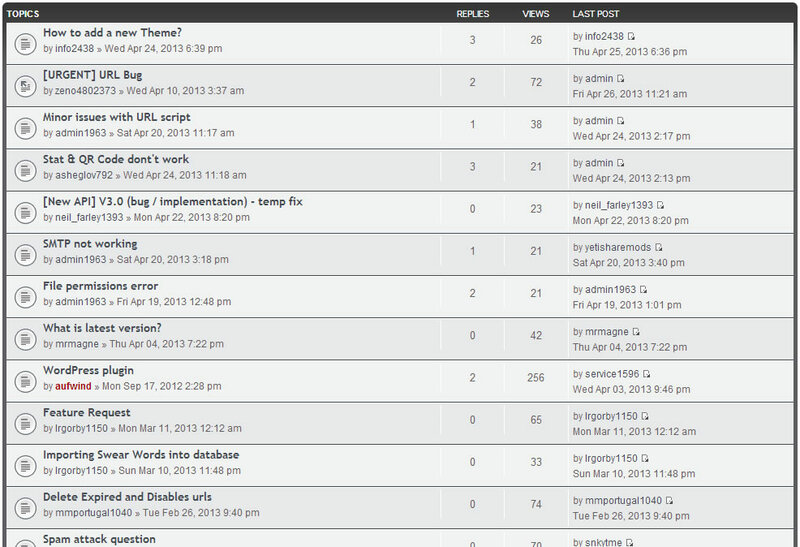 We host a public RFCs section in the forum for user feedback. Regular updates and email support is included for 12 months. Full access to the support forum thereafter.